At some point in the last decade or two participation ribbons became common at sports events. I have mixed feelings about this. While I understand the need to make every kid feel good about her or his participation in a cross country meet, there is another part of me that cringes with this practice. My mixed feelings stems from not wanting my kids to think that they have to win to be their best. Perhaps this is why they both like competitive swimming? While they swim against others, ultimately they are trying to lower their swim times and it becomes self-focused. I know that when I watch competitve sports events I am the one in our household who always comments that it is an honor for the athletes to compete. And, I think it is. Participation ribbons, though, have another part to them. Things get more complicated when I am in the classroom. Somehow this culture of rewarding people for showing up has bled into school work. There is this equation in some students’ minds: effort = A. And, this equation is a problem. Yes, it is important to participate. 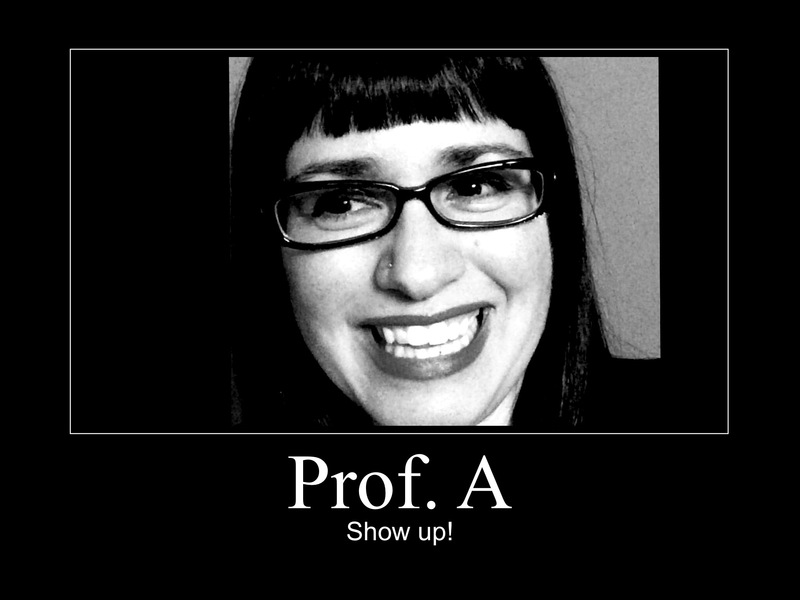 You need to show up to class. However, that is only one part of it. There are terabytes worth of research about the correlation between student attendance and success. Part of it is that students who attend class are more likely to be prepared and feel accountable, but the other part of it is that this same group is also likely to hear annoucements, do the reading, and possibly attend office hours for clarification about assignments. My issue is that I often have to explain to a student that their gauge for effort will vary, and that some students can whip an assignment together fast and do well and others will not. I do not believe in participation ribbons in the classroom. A solid blog post, research design, paper or vlog is going to take some effort, and merely doing the assignment is not enough. A stronger assignment is going to have to make me pause. The pause is one of excitement–this is great work. However, most of the students will do good to fair work and this is in the B to C range. And, nothing is wrong with this. What is the saying, “Bs and Cs earn degrees.” It’s true, but the learning experience is more than grades. A new term is right around the corner for our college students. My advice: show up. I hope that your instructors entice you to learn, think, and try. You do not have to do your best, but note that you’ll benefit based on the effort you put into the class. The benefits, though, are more tangible than a grade, and you might end up taking away more than the the ability to write better and think critically. You might be moved to change your major or take more classes with that instructor. There are always a few students in a class who are more concerned with writing for the instructor, than with writing something that they are keenly interested in or perhaps even believe. I feel a slight sense of frustration when I hear that they “just want a good grade.” This is a common lament among educators, so what do we do? Since the majority of the courses that I teach focus on gender, the students know that I am a feminist and hold feminist issues near and dear to my heart. Due to this, some of them sense that this bias is somehow more insidious than my Marxist’s colleagues beliefs. What do I do? I tend to play devil’s advocate lots during lecture and try to push the students. Sometimes, gasp, I’ll even say things that I don’t necessarily believe, but I might want to instigate some discussion among the students. I hope that they leave the class with a better understanding of the concepts, yes. But, more so, I want them to leave better critical thinkers. And, this means that they don’t have to agree with me. Hopefully, some of the students working on their papers will read this and augment their papers accordingly. Don’t write for me. Write the for the argument–write the paper.